PrivacyScan has been awarded Best of Show at Macworld | iWorld by Macworld UK. PrivacyScan gives peace of mind to the privacy-conscious user by ensuring that potential threats, both online and offline, are eradicated with multiple levels of secure delete file shredding. Whenever you surf the internet little bits of information about you and your browsing habits are collected. If you are worried about just how much information is being gathered, you can address your concerns with PrivacyScan. SecureMac is honored and humbled that Macworld UK has awarded PrivacyScan as Best of Show winner for Macworld | iWorld this year. PrivacyScan gives peace of mind to the privacy-conscious user by ensuring that potential threats, both online and offline, are eradicated with multiple levels of secure delete file shredding. PrivacyScan is available on the Mac App Store. "Whenever you surf the internet little bits of information about you and your browsing habits are collected. If you are worried about just how much information is being gathered, you can address your concerns with PrivacyScan." PrivacyScan works by searching for known applications which leave files on the computer that could lead to privacy concerns. PrivacyScan offers support for a wide range of items and apps, including popular web browsers such as Camino, Chrome, Firefox, Flock, iCab, OmniWeb, Opera, Safari, SeaMonkey, and Shiira, privacy threats presented by Flash Cookies, as well as standard apps such as Finder, Preview, and QuickTime. 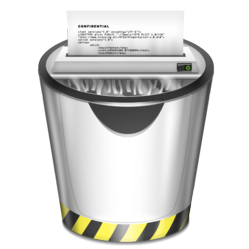 Once a scan has run its course and privacy threats have been detected, PrivacyScan offers a variety of choices for cleaning -- from a standard quick delete to one of the many secure delete shredding options. Press and media are invited to contact macsec(at)securemac(dot)com for NFR review copies of PrivacyScan.